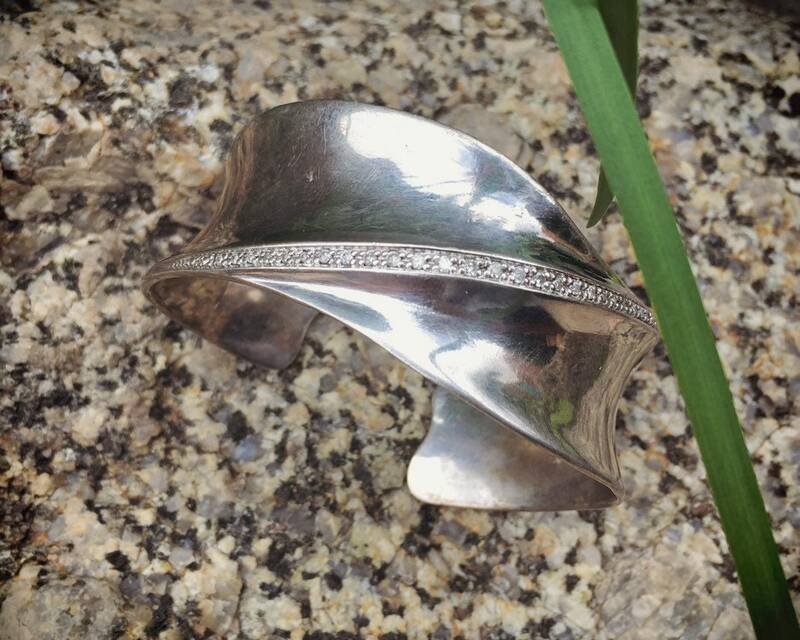 This vintage sterling silver cuff bracelet has a beautiful sculptural look and feel, undulating with motion and then running diagonally across like a small crest of the wave is a line of diamonds that together weigh .33 (1/3rd) carat. 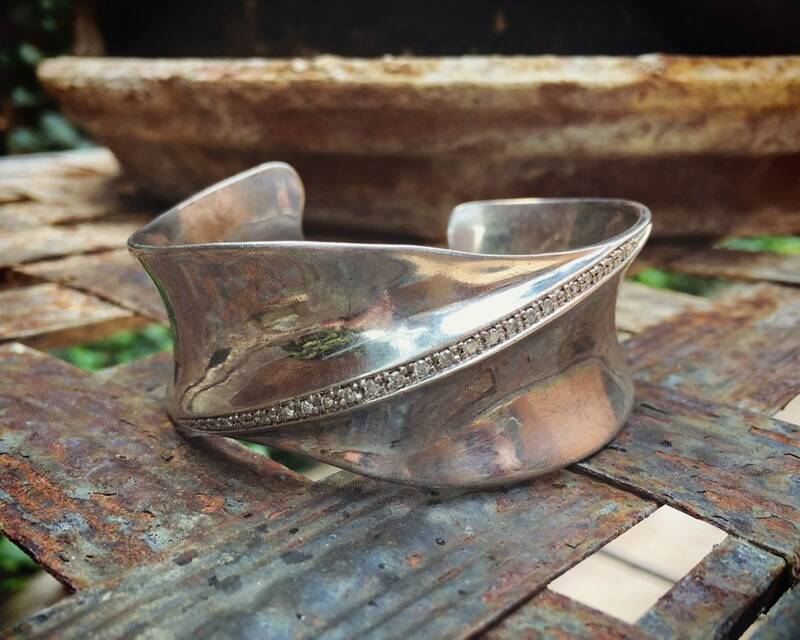 Perhaps someone you know (or you, yourself) loves diamonds and silver. 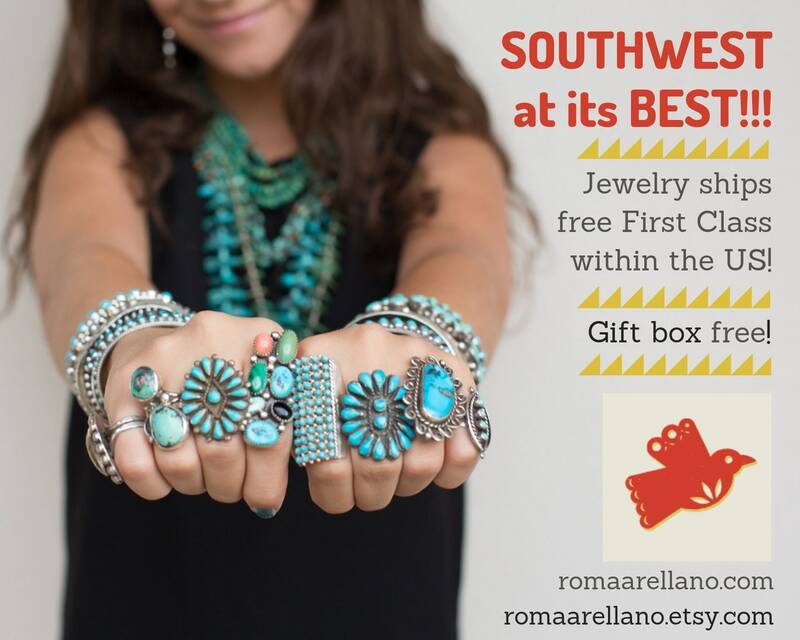 Perhaps they have a bohemian or Southwestern soul yet appreciate fine jewelry. If so this could be the perfect piece that combines all of those things in one package. 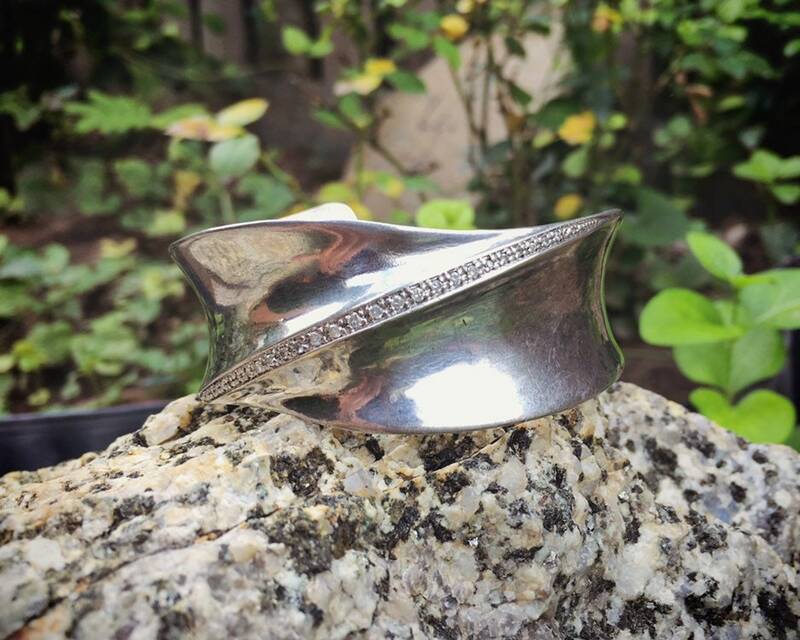 This is an estate piece and has some small scratches in the silver. 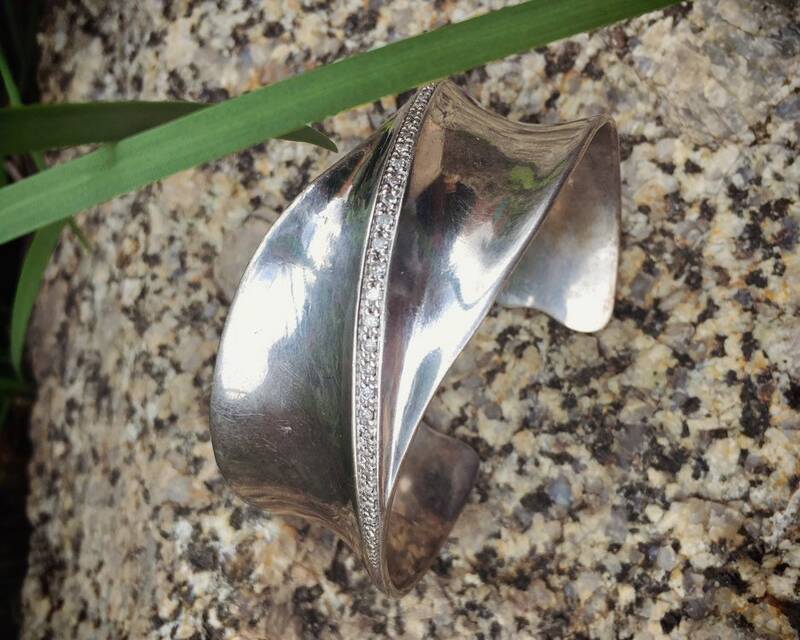 On the interior it carries a very small and hard-to-read 925 hallmark as well as possibly a maker mark, and a total weight mark for the diamonds. 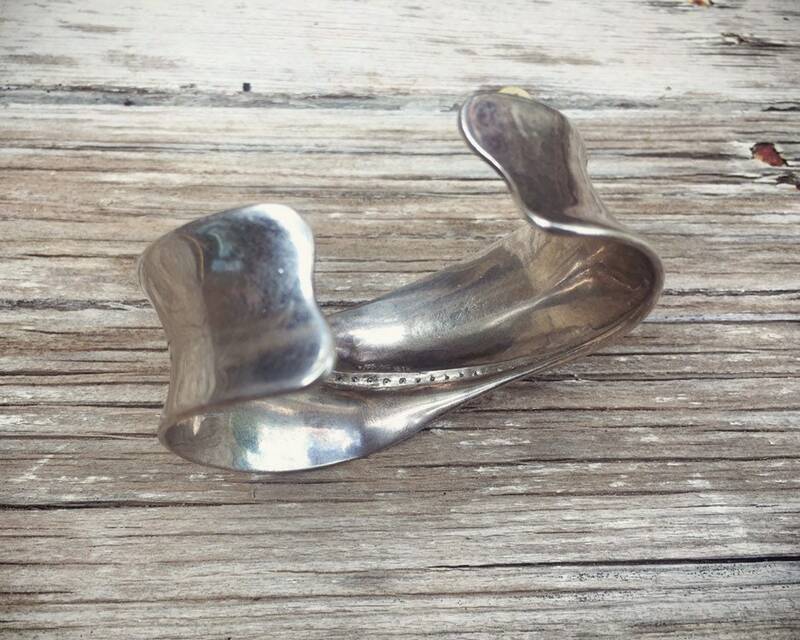 The sterling silver weight is 43.1 grams. 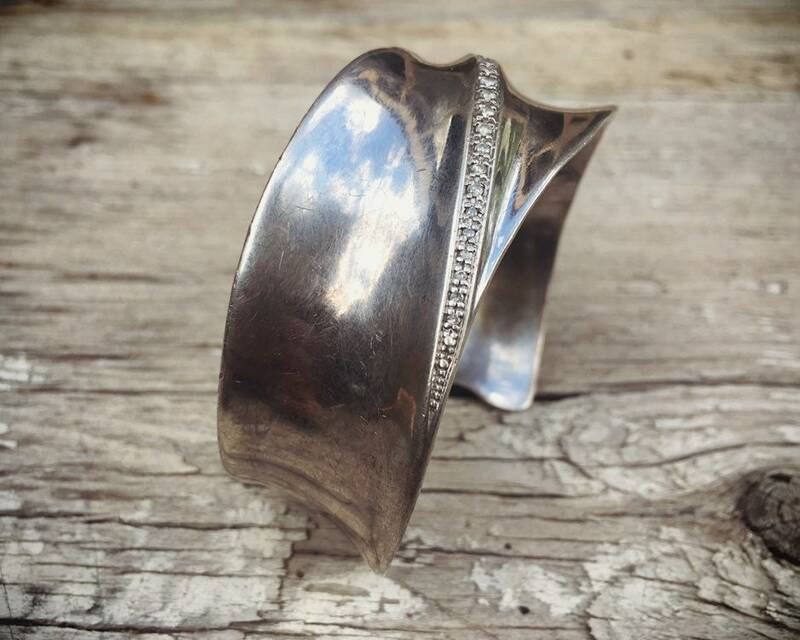 As the cuff has no hallmark, we can't say that it is Native American, yet it does have a contemporary Native style. 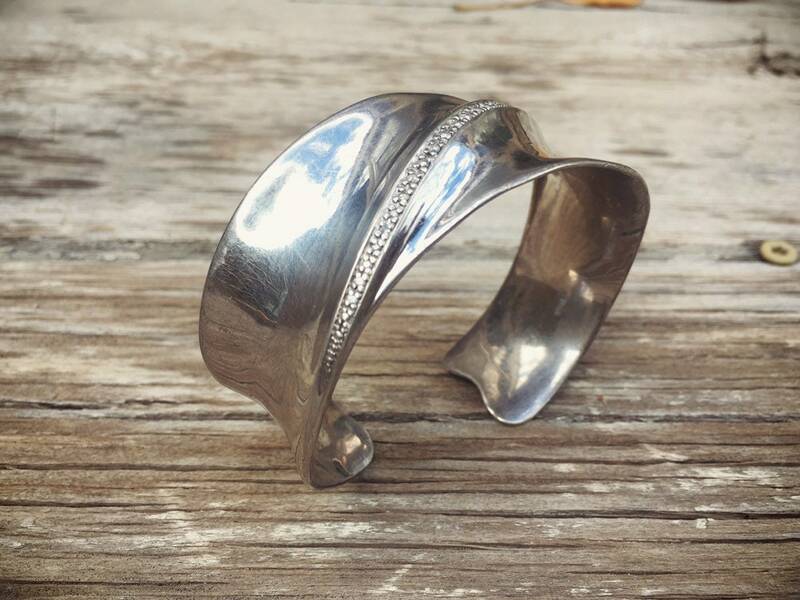 The bracelet measures about 1" wide. Measuring end to end with a soft tape measure it is about 6" in length with a 1" gap, or 7" total length. 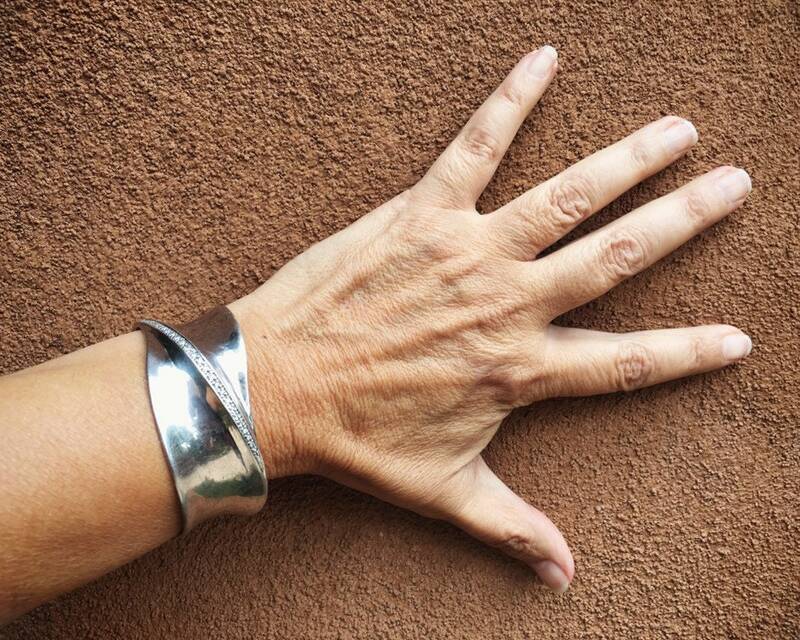 It has lovely patina, and other than the small scratches in the silver from wear, it is in good vintage condition. 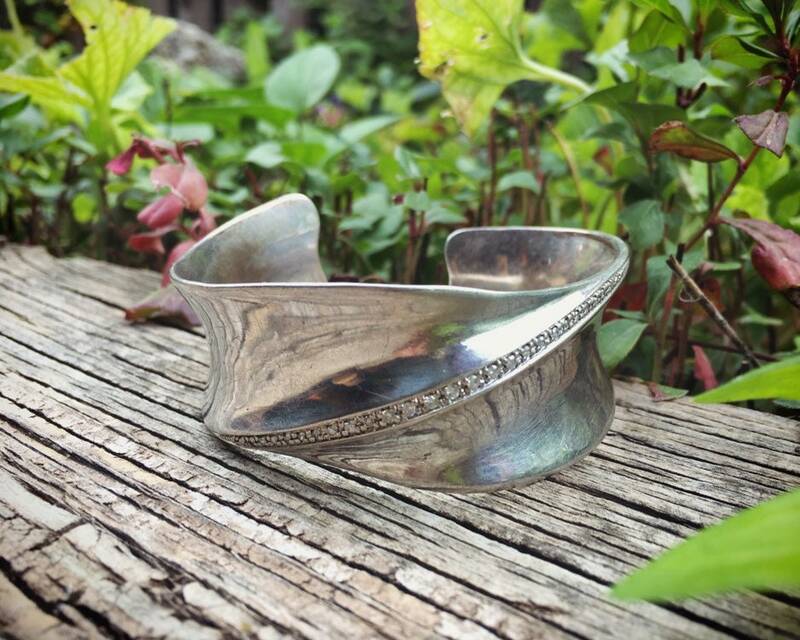 A cuff with great presence, for the person who loves casual elegance.